The Sony Xperia XZ2 Compact is a phone for those averse to today's mega-slabs. It's a diminutive dynamo that packs a big punch. This Android phone won't take no guff from nobody. With a top-tier processor, capable camera, and features to spare, the Xperia XZ2 Compact is the one-handed phone you might not be able to say no to. Here is Phone Scoop's in-depth review. The Xperia XZ2 Compact is the smaller, more hand-friendly version of Sony's flagship phone. It boasts a frosted polycarbonate design, top-of-the-line processor, powerful camera, and rich media experiences. If you seek raw performance in a small package, the XZ2 Compact is a fine place to start. 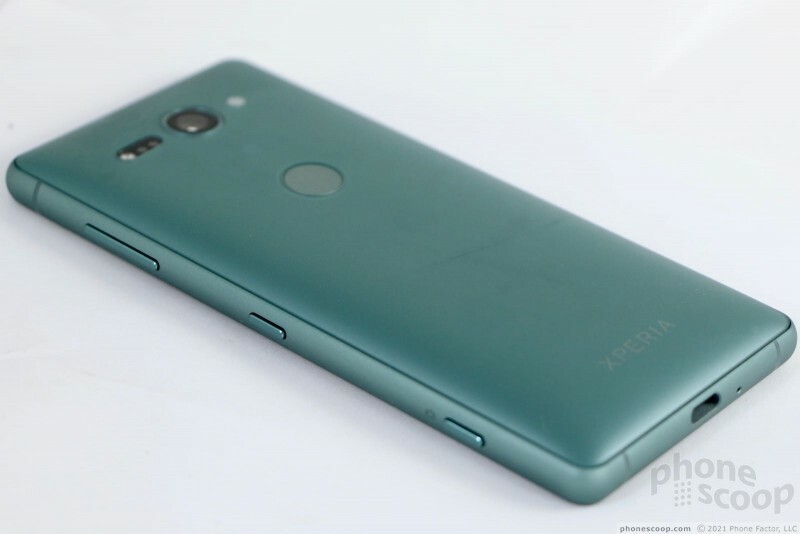 Editor's Note: In many respects, the smaller Xperia XZ2 Compact and larger Xperia XZ2 have identical guts, software, and performance. As such, major portions of this review are carried over from our earlier review of the Xperia XZ2. 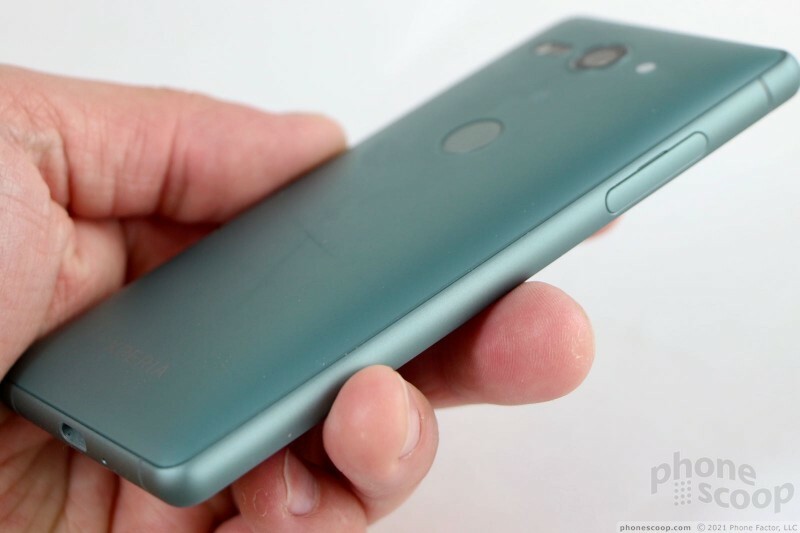 The screen size, physical size, and battery capacity differ, and the XZ2 Compact does not have wireless charging and the haptic engine found on the larger model. We specifically spent time with XZ2 Compact to assess its smaller form factor, battery life, and performance on Verizon's network. Here's what we found. The Xperia XZ2 Compact is at once new and familiar. There's no question it's a Sony phone, but it adopts new design characteristics that help bring Sony into the modern age of smartphones. The company has — almost a year after its competitors — moved to a 2:1 screen shape. 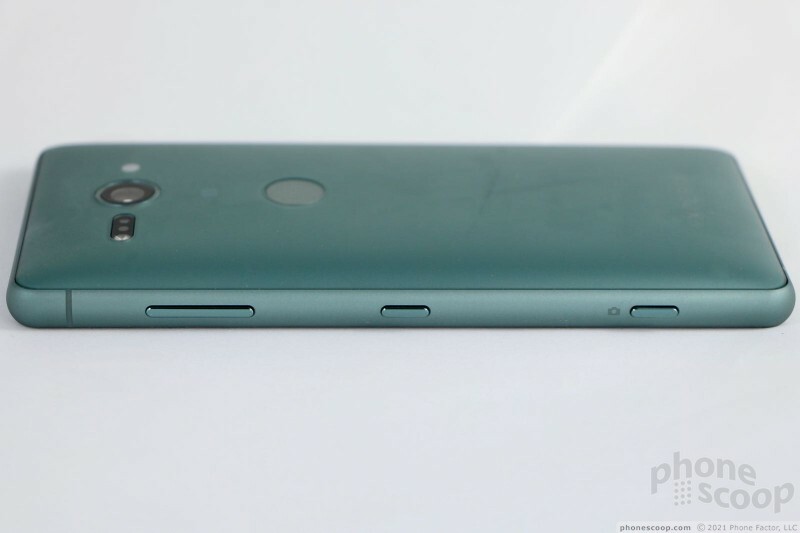 That means a taller screen in a narrower chassis, for more of an "all screen" front. As good as this update is, the phone still manages to look and feel a bit awkward. The XZ2 Compact has a metal frame that wraps around the outer edge and is sandwiched between Gorilla Glass and polycarbonate The frame is pleasingly rounded so the phone feels smooth against your hand. 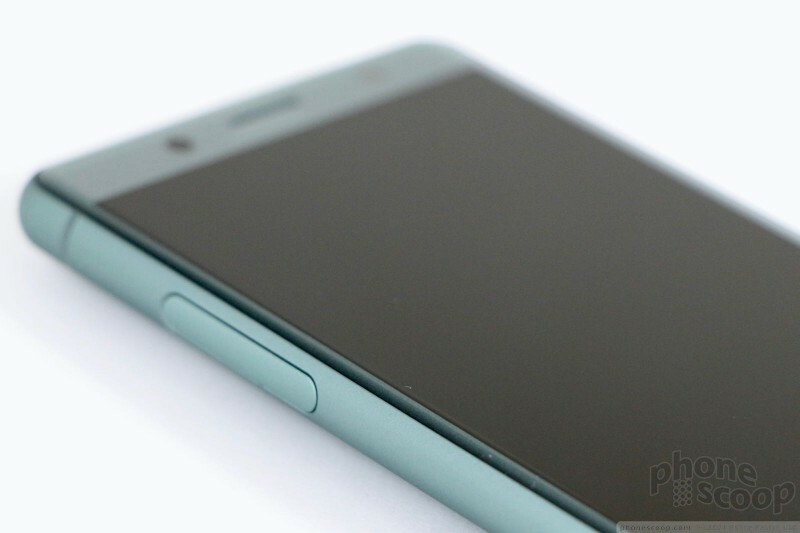 The front glass has the 2.5D shape common to many phones, which means it curves right where it meets the metal frame. Notably, the rear is much curvier, swelling along the center axis to be much thicker in the middle. While comfy to hold, it prevents the phone from sitting steadily on flat surfaces, something I find annoying. The shaping of the back gives the XZ2 Compact a chubby look from some angles, which isn't exactly becoming in the era of super slim phones. The smaller XZ Compact is all about frost. It eschews the smooth, liquid glass rear panel of the larger XZ2 for a frosted finish that has a distinct texture. I like the frosted back, but it's not as inspiring as the liquid glass of the bigger XZ2. Our review unit is mossy green, which is to say something between green and blue. The phone is also sold in silver, black, and pink, all with a frosted coating. The XZ2 Compact is aptly named. Compared to most phones today, it's downright petite. It measures a squat 5.33 inches tall by 2.54 inches wide. This makes it really hand-friendly. I'm not entirely happy about the 11.9mm girth from front to back. I understand the physics here and I know that Sony crammed an awful lot into the smaller footprint. Even so, there's no denying that it looks a little chubby. The thickness is most obvious when the phone is in your pocket, though this is offset by the reduced length and width. The frosted polycarbonate back is easier to hold onto than the slippery liquid glass of the XZ2. So there's that. Sony selected fine components for the body and assembled them perfectly. The metal frame is solid and the glass front is of the highest quality. The XZ2's liquid glass does offer a more luxurious feel than the Compact's polycarbonate, but the quality of the smaller phone is just as good as the larger phone. Everything about the XZ2 Compact is elegant. Like the majority of Sony flagships, the XZ2 Compact is at least water resistant. The U.S. version is rated IP65 (versus IP68 for the international). This means it can handle a few minutes of flowing/spraying water, such as rain or a splash next to the kitchen sink. It is not meant to be fully submerged, so be careful around the pool this summer. 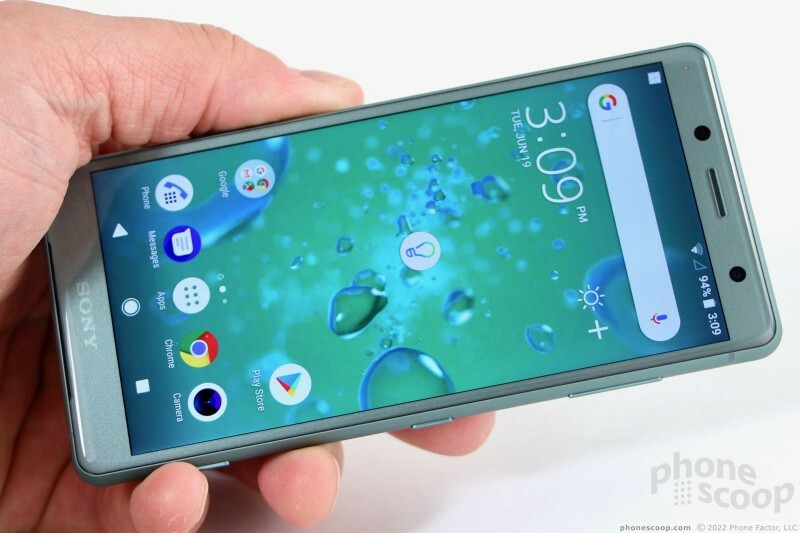 Sony says the XZ2 Compact is durable thanks to the polycarbonate rear panel. It's certainly not as fragile as all-glass phones. 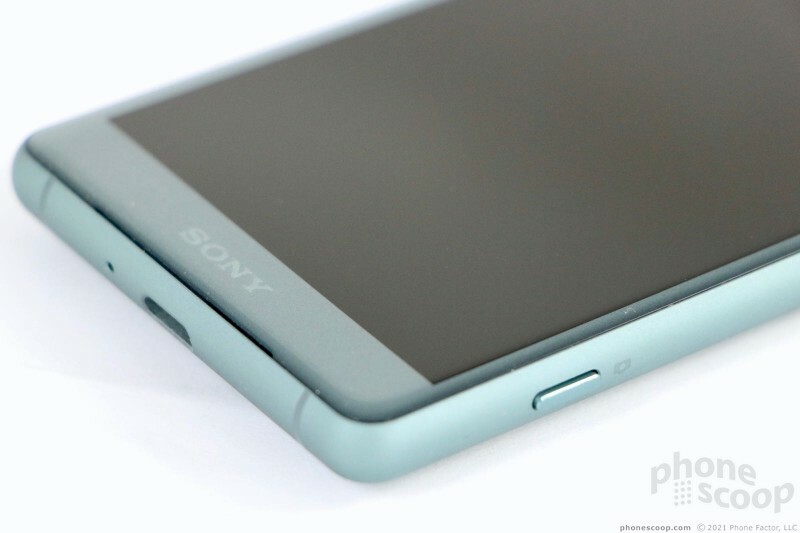 Sony phones have long had horrendously thick bezels. The XZ2 Compact makes progress on that front with its 2:1 display, but not enough as far as I'm concerned. It could have done much more to make the screen truly fill the front. Many of today's competing flagship phones offer a better screen-to-body ratio than the XZ2 Compact. All of the buttons are on the right. The volume toggle is close to the top edge. It's a thin, short key that has a good profile and feedback. I do wish there were nubs at either end to help give you some guidance. The screen lock button is right in the middle. It's small and doesn't have as thick a profile as I'd like. Feedback is very good. 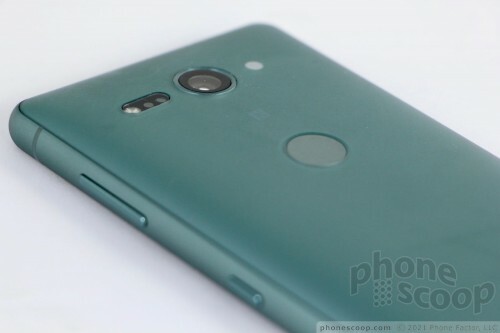 Sony is one of the last phone makers to include a dedicated camera button on its phones. 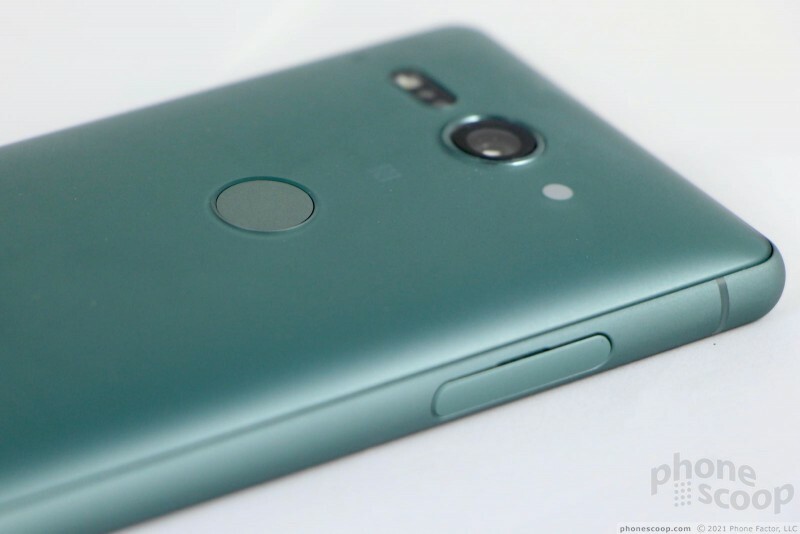 The XZ2 Compact's camera key is really small and tucked down on the bottom of the right edge. It's a two-stage button. The action between the two stages is much more well defined than the same button on the larger XZ2. It's easy to push the button half way down to focus, and then all the way down and shoot a picture. I really do like the two-stage shutter button as a hardware feature. 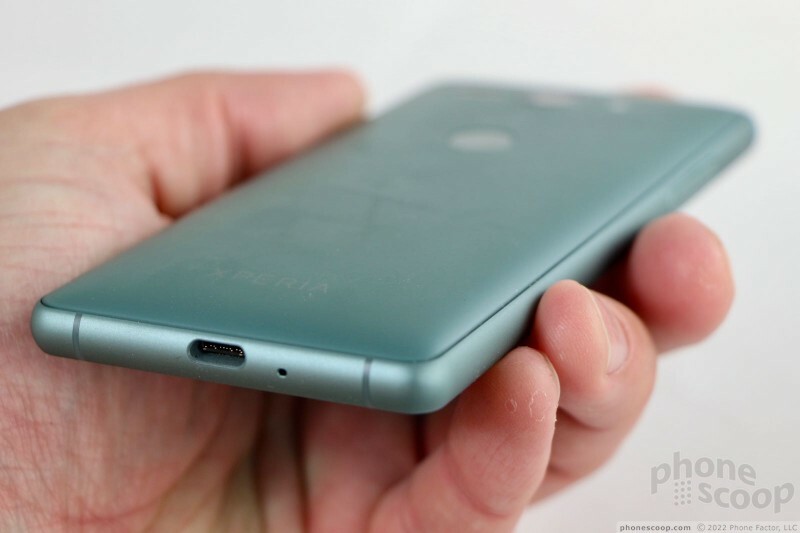 I'm not entirely in love with the bowed shape of the XZ2 Compact's rear panel. 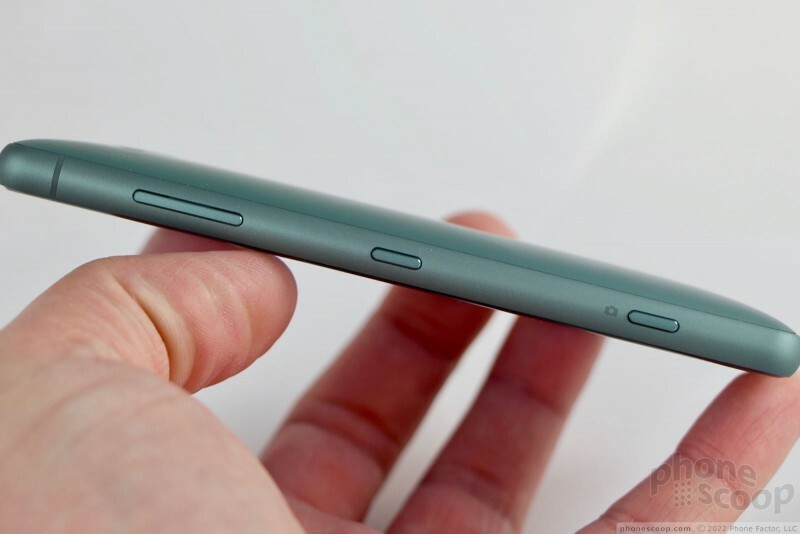 Because the phone is thicker than the XZ2, the arc is more noticeable as it reaches from corner to corner. 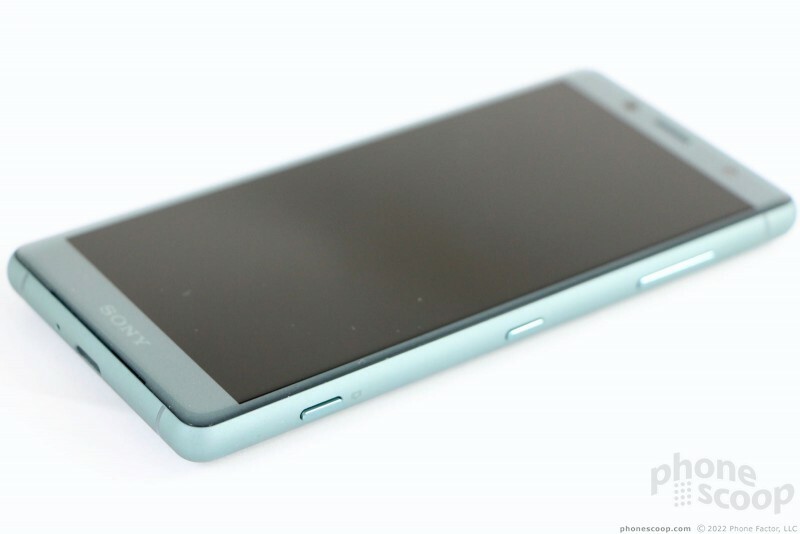 Sony arranged the camera, sensors, fingerprint reader, and other components near the top edge. 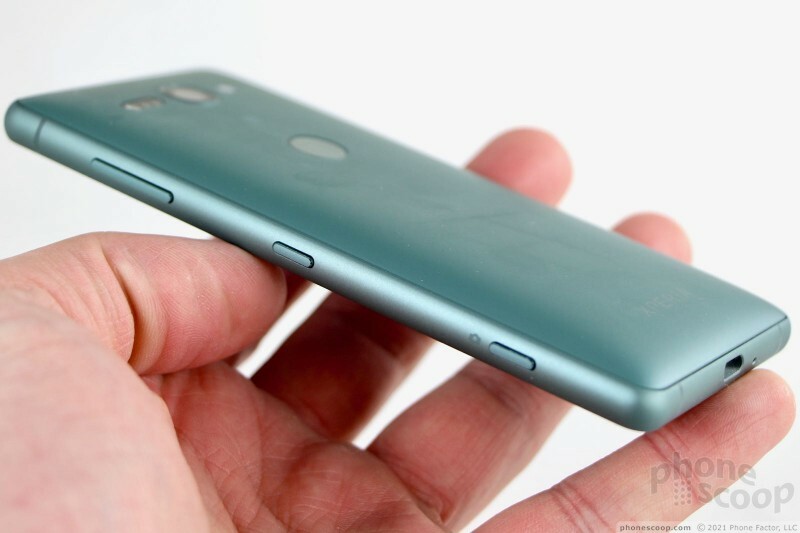 The fingerprint reader is placed just a bit low (it's egregiously low on the XZ2). More often than not, my finger touched the glass above the fingerprint reader rather than the fingerprint reader itself. At least I didn't accidentally smudge the camera lens. The battery cannot be removed. There's a lot to like here. Sony finally designed a device with respectable bezels. The company could have gone further, and I expect it to with its next-generation flagships. I also wish the phone were a bit thinner. These are hardly the worst complaints, however. Sony fans should be pleased with the updated hardware. Sony opted for a 5-inch LCD panel with full HD+ (2,160 by 1,080) resolution. There's no notch. The screen looks incredibly sharp and clean. Everything on the display has smooth edges and is well-defined. 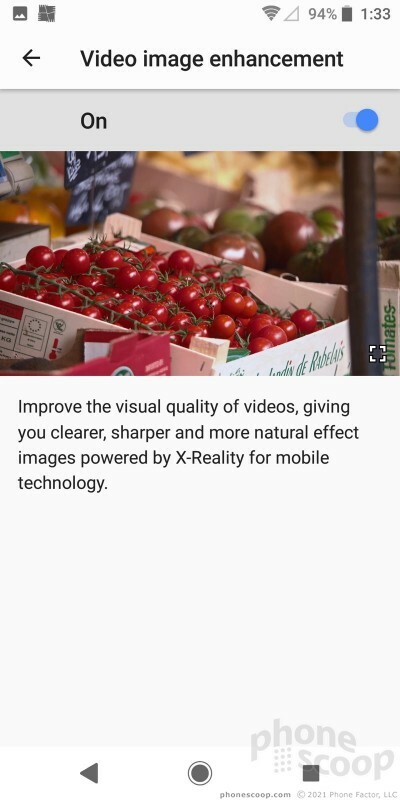 The display of the XZ2 Compact has better pixel density (483ppi) than the display of the XZ2 (424ppi) because the Compact packs the same resolution into a smaller panel. Many of Sony's competitors in the flagship space (Samsung, LG) offer quad HD+ resolution on their phones, but I don't think you're missing anything here. The display pumps out plenty of light. I was able to use it outdoors with no problems. The camera app was always visible, even under sunny skies, though things that have white backgrounds were harder to see under the sun. Support for HDR video playback means you can experience higher-contrast video from Netflix and other streaming services. 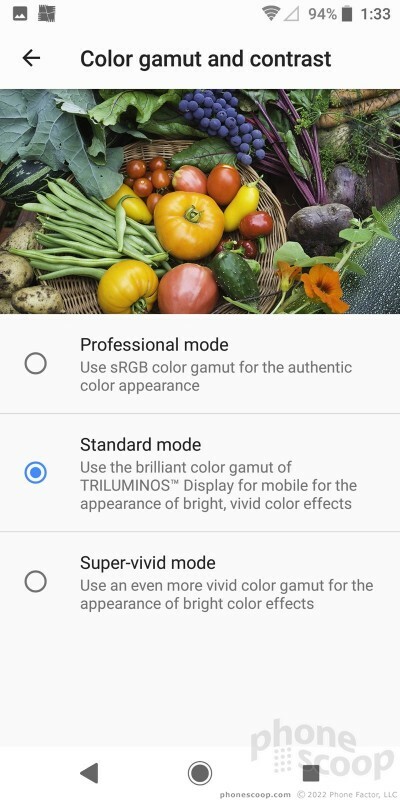 HDR content looks excellent on the XZ2 Compact. Viewing angles are very good. 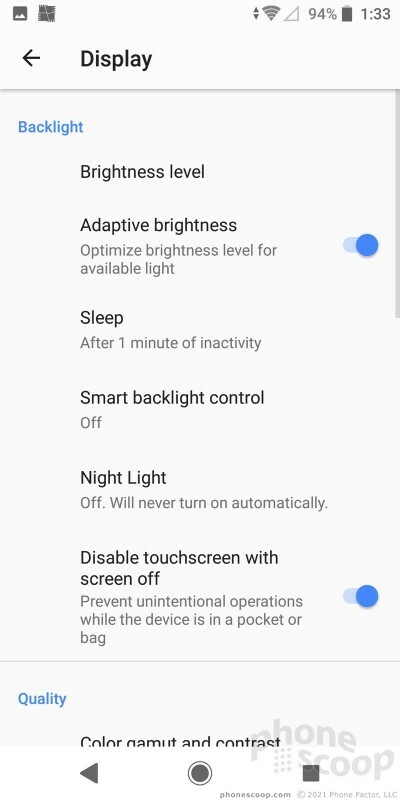 Like most Sony phones, the screen settings put you in control. 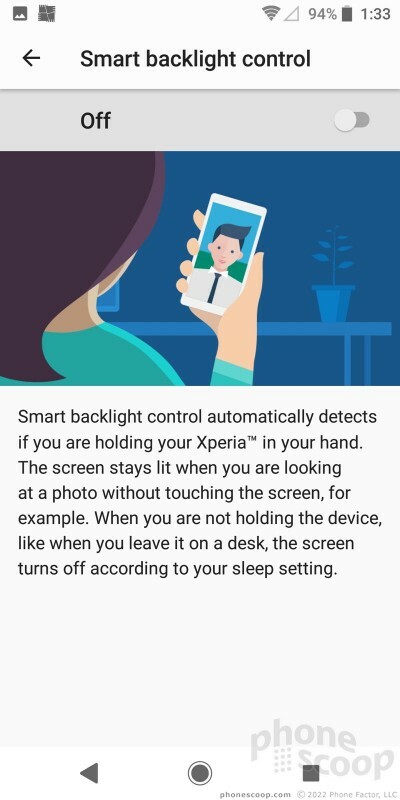 Sony added a "smart backlight control" that keeps the screen on if you are merely looking at it. I appreciate that you can choose from several different color and contrast options, such as Super Vivid Mode, which makes viewing movies that much better by improving contrast. 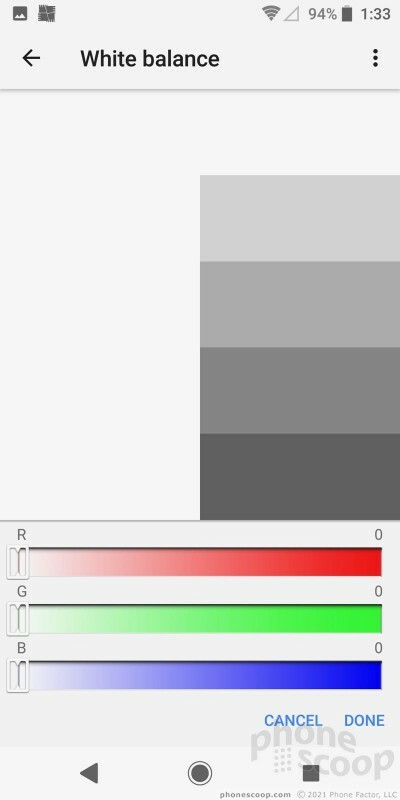 You can also make fine-tuned adjustments to white balance. The phone has a fine screen. Sony sells the Xperia XZ2 Compact unlocked in the U.S. 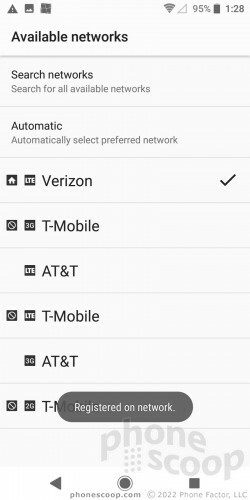 It supports a respectable number of LTE bands, including Band 29 for AT&T and Band 66 for T-Mobile (though not Band 71). More importantly, it's certified by Verizon for use on its LTE 4G network. 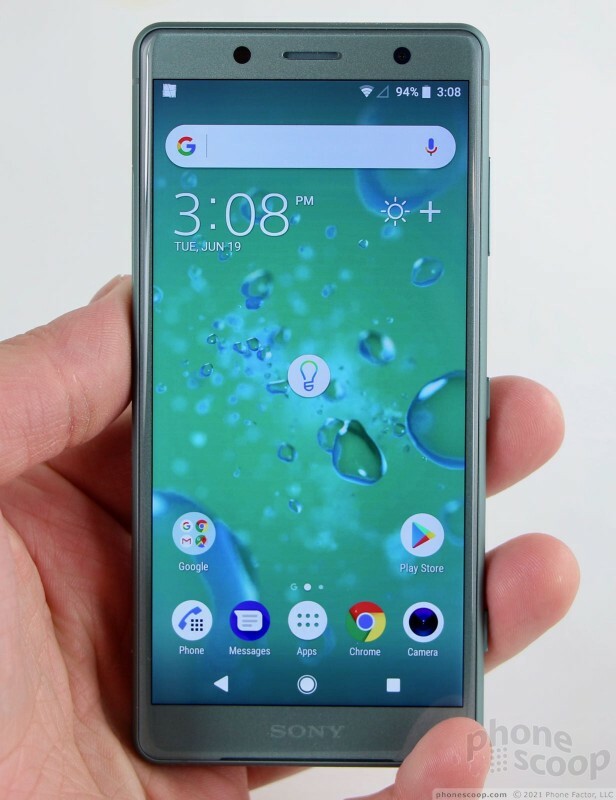 This means Verizon tested the XZ2 Compact it its lab and vouches for its network performance. I tested the phone on Verizon's network around NYC and came away impressed. Every call connected on the first dial, even when the network was hardly there. I ran the phone up and down miles of highway and not once did it drop a call. Data speeds were excellent. The phone has a first-rate Cat 18 LTE modem and really delivered zippy data. Everything I did on the network — surfing the web, streaming media, downloading apps — ran smoothly and quickly. The phone doesn't support WiFi calling, but it does offer VoLTE for HD Voice service. The clarity of VoLTE calls on Verizon's network was outstanding. It was as though people were talking to me from the next room. Calls routed to the speaker are very loud, thanks to Sony's ramped-up amplifier. 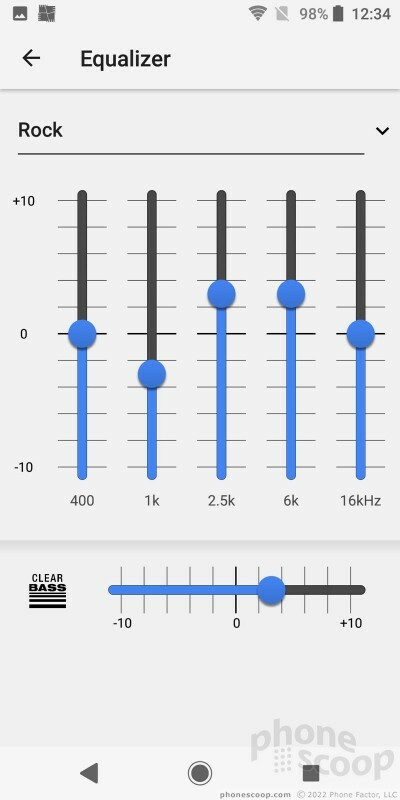 Clarity will suffer from some distortion at the loudest volumes, but you'll easily be able to hear calls in moving cars and in office spaces. Sony is doing some interesting things with the sound when it comes to media playback. 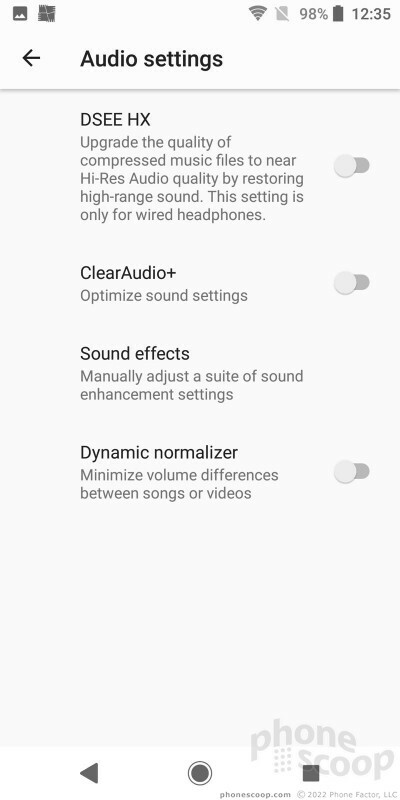 Like many modern flagships, the Xperia XZ2 Compact pushes sound out of the earpiece and the speaker. Together these create a stereo effect. The tones are generally good and I was very impressed with not only the volume, but the clarity and quality of both music and movies. 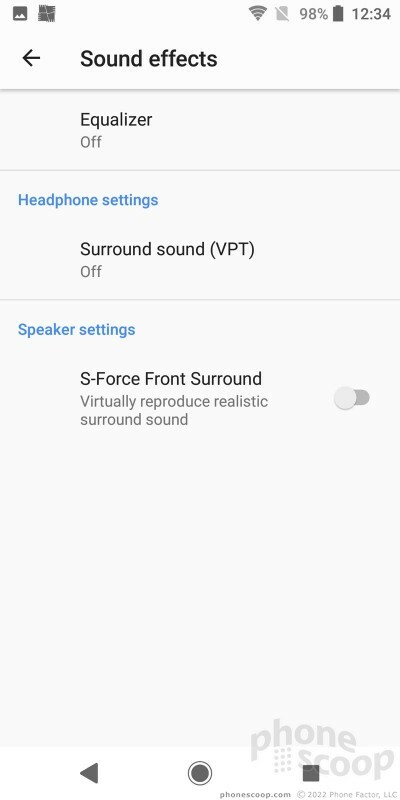 Sony calls this S-Force Front Surround. Sadly, the Xperia XZ2 Compact loses the awesome haptic engine and Dynamic Vibration of the larger phone. The phone has a 2,870 mAh battery inside and it does a fine job. 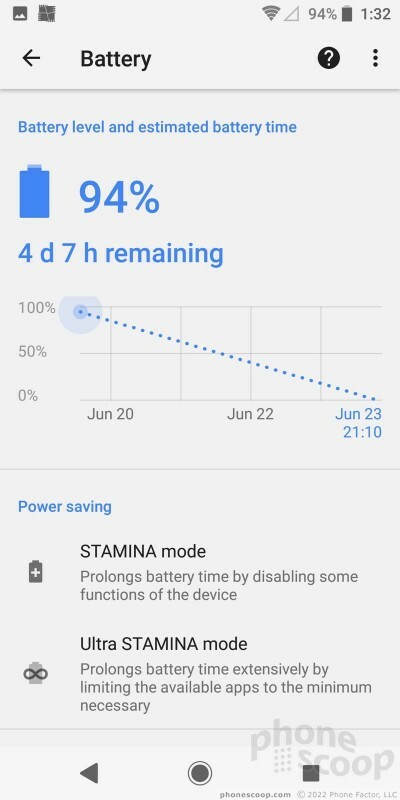 I was able to run the XZ2 Compact all day without it dying on me. 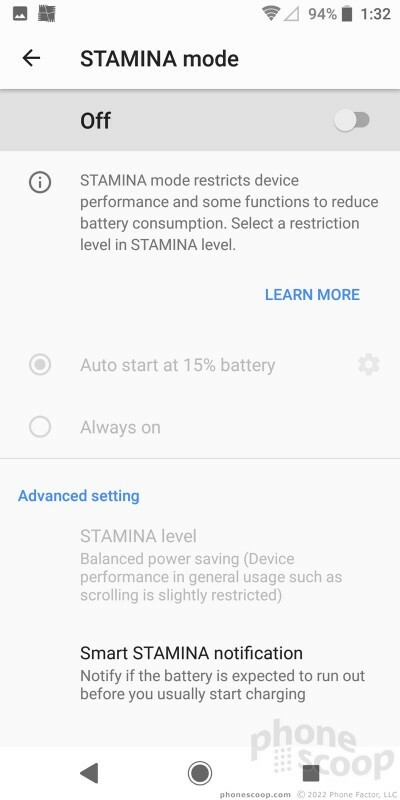 Normal usage — browsing social media, sending messages — hardly seemed to impact the battery at all. 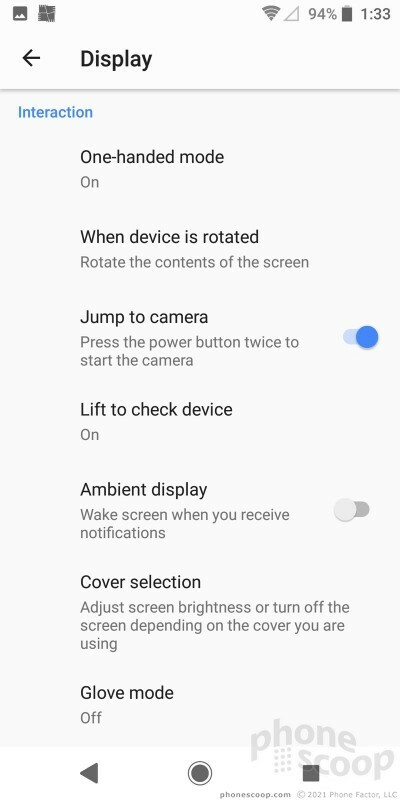 Using the camera takes a more obvious toll on battery life. If you spend a day sightseeing with the camera on constantly, you'll likely run into trouble by suppertime. 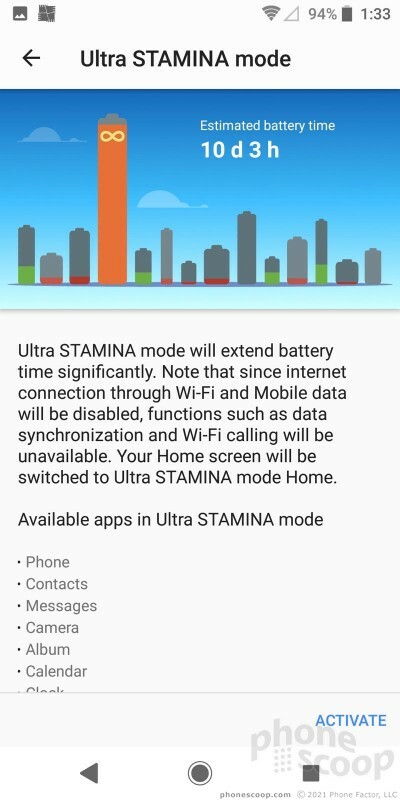 Stamina Mode and Ultra Stamina Mode will truly help extend battery life if you find yourself running short. 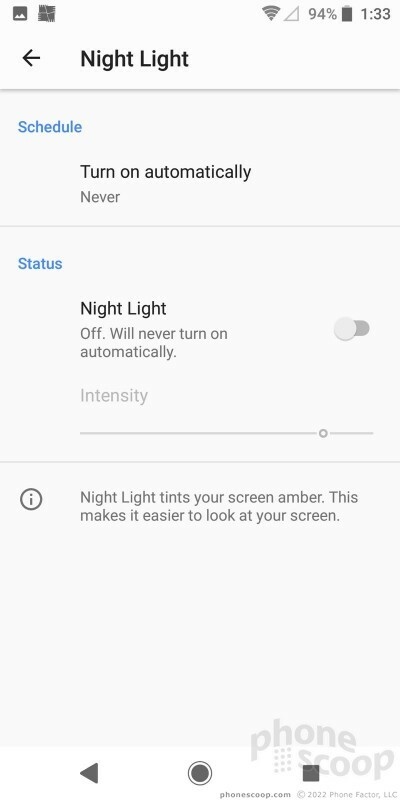 While the former tamps down vibrations, notifications, brightness, and alerts, the latter puts the XZ2 Compact into dumb-phone mode and kills most apps and services. 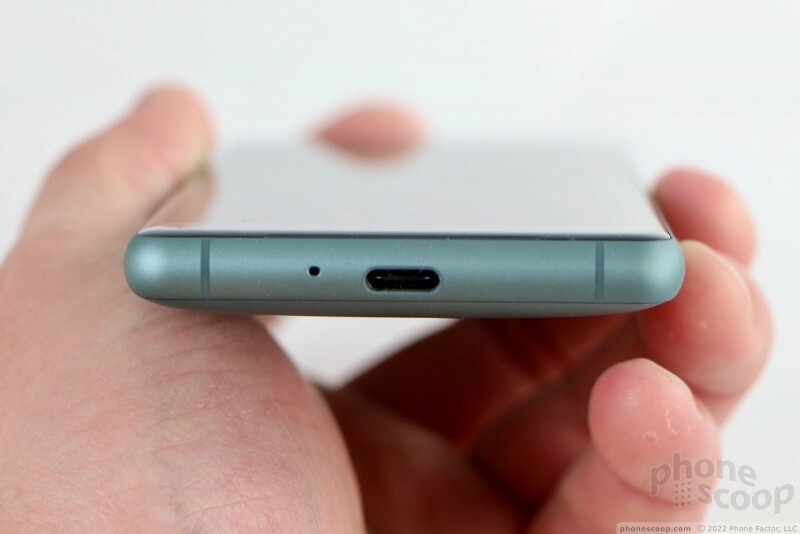 The phone supports Quick Charge 3.0 for rapid power-ups. Plugging in for as little as 15 minutes boosts the battery by as much as 25%. 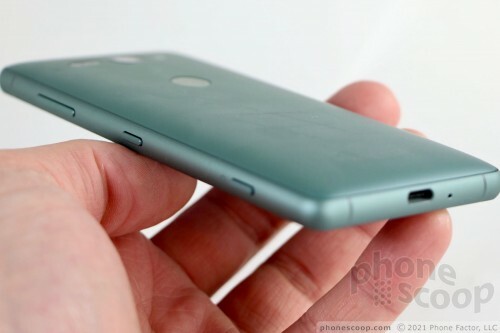 The XZ2 Compact does not include wireless charging. 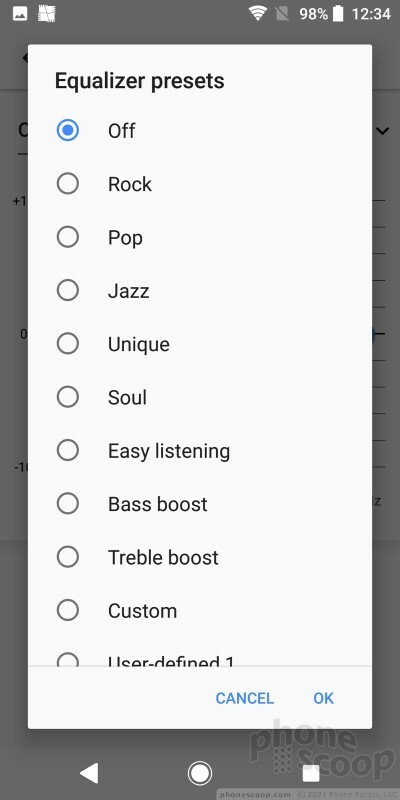 The Xperia XZ2 Compact is loaded with radios. Let's start with Bluetooth 5.0 with support for aptX. This is a good start for music lovers. The phone connected to various headphones, speakers, and my car without much effort. Calls routed to my car were solid in terms of volume and clarity. 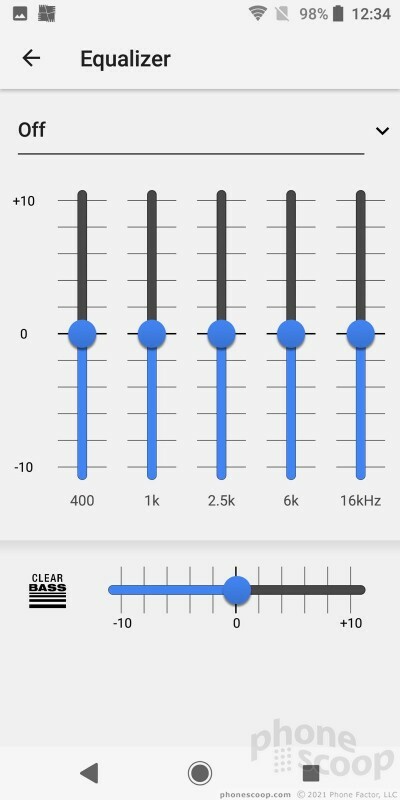 Music streamed to aptX-capable headphones sounded excellent. The GPS radio did its job admirably. It pinpointed me in a blink and accuracy was as good as about 10 feet. The XZ2 Compact had no trouble navigating between points, whether you're traveling by foot or car. I appreciate having an NFC radio aboard the phone. It made for easy pairing with select Bluetooth accessories, and it of course supports mobile payments via Google Pay. The WiFi worked really well. The XZ2 Compact includes its own VPN software, which I recommend you turn on. 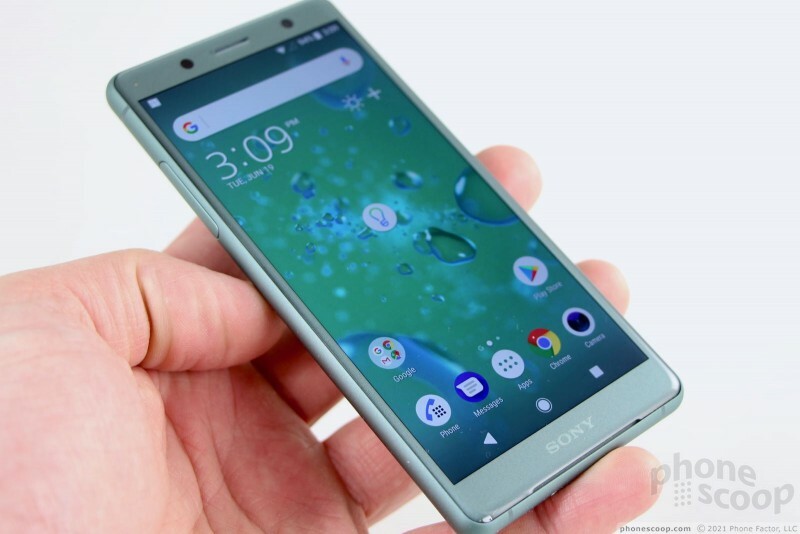 Sony today announced the Xperia XZ2 and Xperia XZ2 Compact smartphones, two devices that take on a brand new design aesthetic the company calls Ambient Flow. 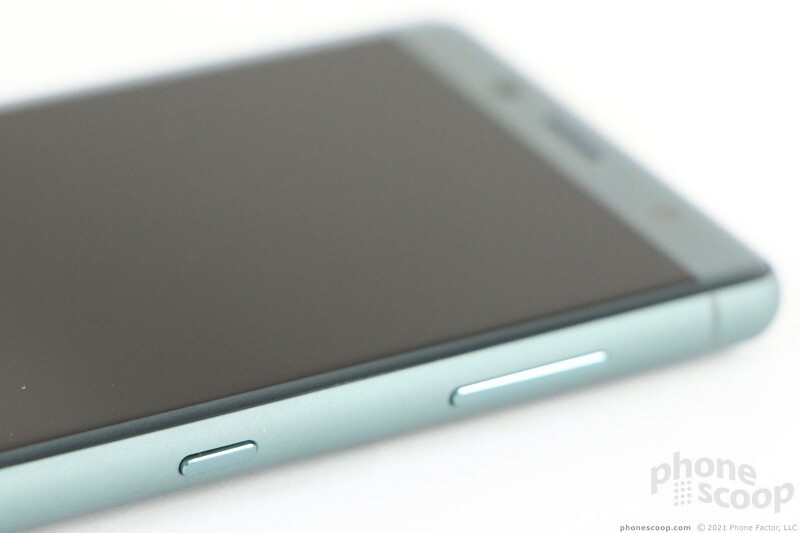 The phones feature a metal frame and deeply curved rear panels.